Come check out our new family- and locally-owned Toyota dealership in Lincoln, NE, to receive award-winning customer service no matter what you’re visiting for. 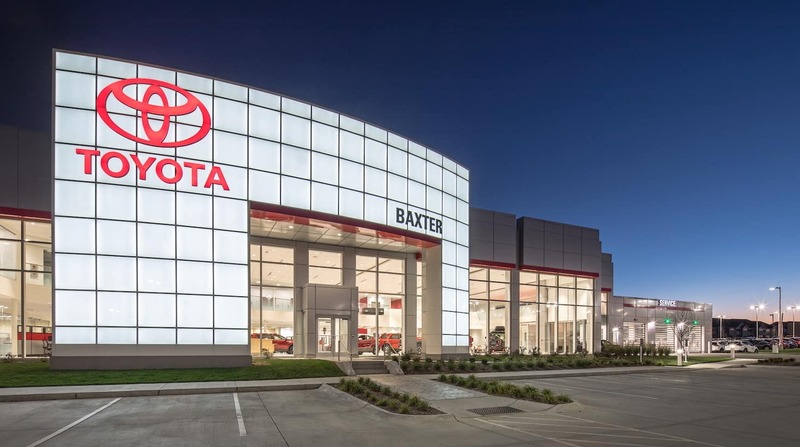 You can shop our expansive inventory of new and used Toyota vehicles, explore your Toyota financing options and get service for your current vehicle all in one convenient place when you choose Baxter Toyota Lincoln. Visit now and speak with members of our Toyota sales, service, parts and finance teams to learn more! From fuel-efficient sedans to family-friendly SUVs, the new Toyota model lineup has something for everyone. Schedule a test-drive at Baxter Toyota Lincoln and you’ll quickly find the right vehicle for your style. Check out the new Toyota Prius for incredible efficiency, or buy a new Toyota Corolla or Camry sedan to travel in pure comfort. View our wide selection of new Toyota RAV4 and Highlander SUVs, or take home a new Toyota Tacoma truck to conquer every tough job. If you’re shopping on a budget, make sure to view our used Toyota inventory and then talk with our Toyota finance team about how you can buy or lease the new car you love! Keep your car running smoothly by scheduling a service appointment at our Lincoln, NE, service center. Our Toyota service experts can handle everything from quick oil changes and tire rotations to major auto repairs so that you can get back to enjoying your time on the road. Every new Toyota vehicle also comes with ToyotaCare, a no-cost maintenance plan that helps you save. Check for Toyota service specials to make each visit more affordable, and order new Toyota parts and accessories to get all the replacement parts your vehicle needs. Visit Baxter Toyota Lincoln for a first-class car-buying experience. We are conveniently located at 8600 S 33rd St in Lincoln, NE, just a short trip away for any Toyota fan in the Lincoln metro area. Visit today and experience the Baxter difference!